Abu Dhabi, October 18, 2018: Gamers – the highlight of your year is nearly here! Middle East Games Con is back – and this year it’s bigger, bolder and more exciting than ever. There’s a host of features longer than the skins available in Fortnite, and a line-up of stars that reads like the Twitch top ten. Middle East Games Con has joined forces with all the top software houses – so you can get your hands on brand new releases and the hottest unreleased games. Think Soulcalibur VI; JUMP Force; Dead or Alive 6; One Piece: World Seeker; The Dark Pictures: Man of Medan; Destiny 2: Forsaken (this was officially released on Sep 6th) and the Spyro Reignited Trilogy (This releases next month). As if that’s not exciting enough, there’s DELL Gaming’s massive Fortnite Challenge – with AED10,000 in prizes and 5000 V-Bucks up for grabs. Whether you want to build a fort, show off your dance skills in the Ultimate Floss Meister challenge or take on a solo battle in the LAN tournament – grab a ticket quick and register to take part. You’ve got to have an entry ticket to register, and the challenge takes place on a first-come, first-served basis. Those not quite ready to expose their gaming skills globally might want to meet the legends of Nasr eSports Team, who will be on hand to coach, nurture and keep their eyes peeled for new talent! If you have set your heart on a streaming career, why not take a VIP ticket and get advice from two of the world’s biggest game streamers? Syndicate and Miniminter will be at the show, so come on down with your merch and your questions. This year offers timed ‘meet and greet’ sessions, and VIP packages to suit all. As well as the chance to hear how Syndicate got 50 million views on Twitch and more than 2.5 million followers, you can also spend time with voice over artists, game producers and animators. You’ll know Doug Cockle better as Geralt of Rivia – the monster hunter from The Witcher series. Doug has been voicing Geralt since 2007, and now you can ask him how it feels to be a Witcher in person. Lucie Pohl – perhaps best known as Mercy from Blizzard Entertainment’s Overwatch, has also voiced roles in World of Warcraft, Hearthstone: Heroes of Warcraft, and most recently Rixxa Fluxflame in World of Warcraft: Battle for Azeroth. She has also acted in TV Series Red Dwarf XI, Homeland, and films including Fantastic Beasts and Where to Find Them. There’s a strong Anime and Japanese star presence at the event. You can meet with, and get commissions from, Japanese anime illustrator, Mamoru Yokota – assistant animation director for “Death Note” and “Naruto”; professional cosplayer and DJ Konomiakira; or emerging illustrator Peach Momoko, who’s renowned for her retro ‘70s anime style. Middle East Games Con brings an immersive anime and Japanese culture experience – ANIFEST – dedicated to Japanese anime, manga, cinema, music, games, fashion and food. Visitors can explore and experience Japanese culture including calligraphy, traditional Samurai sword fighting, music, theatre, dance and poetry. There’s a 30-strong ‘Miyabi’ exhibition, featuring first-time exhibitors revealing traditional Japanese arts and crafts. Visitors are encouraged to come along dressed as their favourite characters and take part in a Cosplay Catwalk event on Friday on the Anifest stage, with the chance to win a professional photograph. 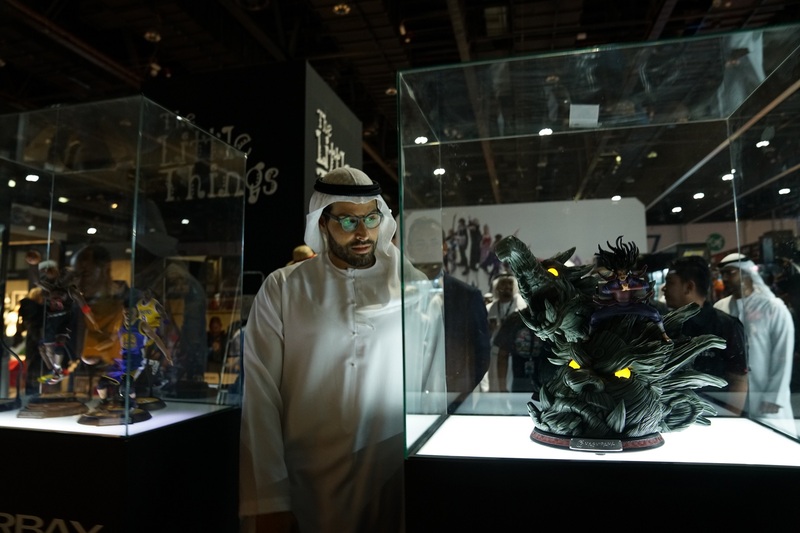 Organised by the same team that bring you the wildly successful Middle East Film & Comic Con in Dubai, the capital’s premier gaming festival is expected to attract 15,000 fans, with tickets selling fast. Sponsors and feature exhibitors confirmed to attend the show include: ZOOM, Virgin Mobile, Nintendo, HP Omen, PlayStation, Bandai Namco, ASUS Republic of Gamers, Sennheiser, Japan Promotion, Logitech and DELL Gaming. Admission tickets start from AED115.50 and are on sale from Platinumlist.net, UAE Exchange and 7eleven stores across the UAE. Go global with your League of Legends expertise – head to the Red Bull Player One zone for a chance to win a place at the Brazil LOL finals. Sennheiser is hosting a Rocket League tournament twice daily, with winners receiving state-of-the-art gaming headsets. Shuffle your decks…plan your game… read your opponent’s move… isn’t this why we love table top games? Get ready for three tournaments taking place at Geeky Lizard‘s stand: Pokemon, Magic: The Gathering and Yu-Gi-Oh. Hit the Zoom Entertainment Stage for live gaming action from the region’s top gamers, and a host of live gaming-related entertainment. Sharjah Golf & Shooting Club brings a virtual shooting range, with replicas of real-world pistols and rifles. AOC Fighting Challenge: Play six different fighting games at the hardest level to win amazing prizes. Middle East Games Con’s Indie Developer Zone hosts independent video game developers, showcasing their different productions across several platforms. Looking for a future career in gaming? Head to the Education Zone to meet universities from the UAE and Abertay University, world-renowned for its premium gaming courses. Games Con Workshops bring sessions on everything from game development to gaming safety. 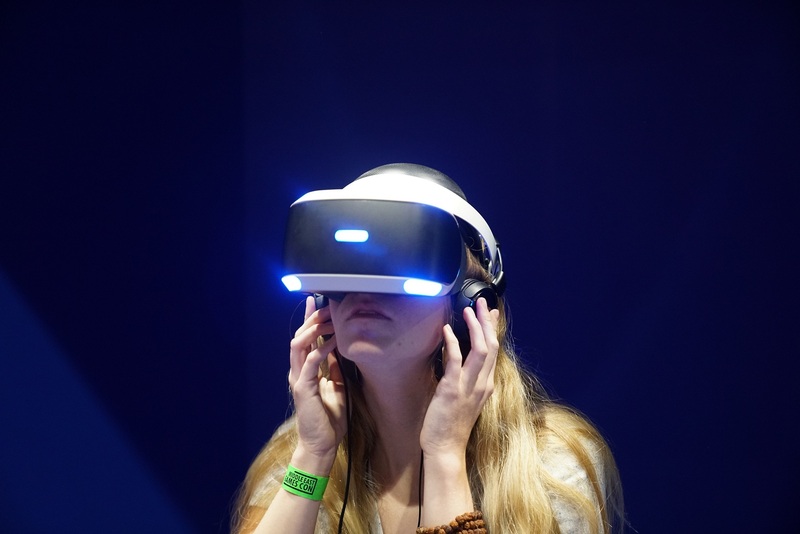 Find out about the future of gaming from industry professionals and boost your skills with tips and tricks. Don’t forget there’s a dedicated food and drink area and a chillout zone for when the action gets too much.